As the Jump season hits full speed, The November Meeting takes centre stage, and it is another chance for horses to trial races ahead at the Festival in March. The November Novices' Chase, currently known as the Racing Post Arkle Trophy Trial Novices' Chase, is a Grade 2 National Hunt Chase, open to horses aged four years or older, exclusive to novices. 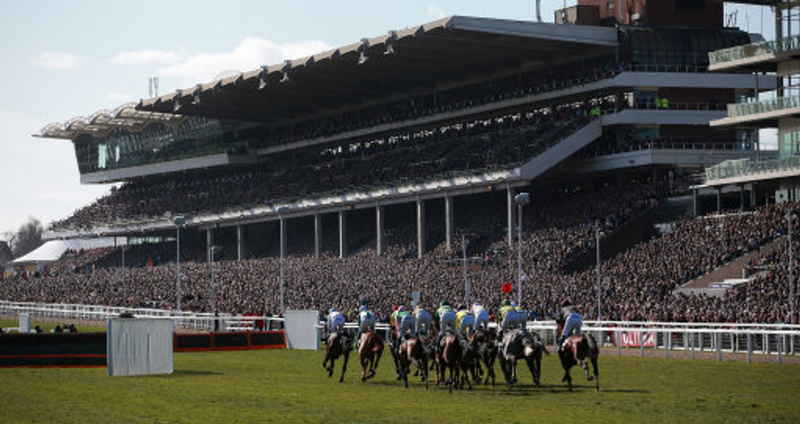 It is run on the Old Course at Cheltenham, over a distance of about 2 miles, with twelve fences to jump. In the last sixteen years, there are been many common trends in this race. Firstly, age and experience. 14 of the last 16 runnings had been won by a novice under six years old, with the same number having run within the last six weeks. 13 of the last 16 had raced at Cheltenham previously, bringing with them track experience, with again, the same number only having had raced over fences once previously. 10 of the last 16 winners had also won their most recent race outing, all of which came over fences. In terms of the betting, favourites have won nine of the last 16 renewals, with another four placing. 14 of the last 16 winners had also come from the top 3 in the market, with the same number of winners being priced 7/2 or shorter in the betting. The Brits usually dominate, with Paul Nicholls winning six of the last ten runnings of the race, and Philip Hobbs winning three of the last 16. The Irish as a whole however, have only collected four of the last sixteen renewals. Nine of the last 16 ran in the Arkle Chase at the Festival later that season, with one going onto win it (Azertyuiop, 2002), however three did not use their experience to their advantage, by falling in the Arkle later that season. The Cheltenham Chase, currently known for sponsorship purposes as the Shloer Chase, is a Grade 2 National Hunt Chase, open to horses aged five years or older. It is run on the Old Course at Prestbury Park, over a distance of 2 miles, where there are twelve fences to be jumped. The race has only had nine previous runnings, with the last two going the way of Colin Tizzard's Fox Norton. In the last nine years however, seven out of the last nine winners had won at least four times over fences before, and had won over fences at Cheltenham before. The same number were making their seasonal reappearance, and were aged seven or older. Four of the last nine favourites had won, with all but one returning at shorter than 4/1 in the betting. Six out of the nine winners subsequently ran in the Champion Chase at the Festival, and just like the Arkle, only one could convert that start into a winner - Sprinter Sacre in 2015. The Greatwood Hurdle is a Grade 3 National Hunt Handicap hurdle contest, which is open to horses aged four years or older. It is run on the Old Course at Cheltenham, over a distance of about 2 miles, where there are eight hurdles to be jumped. The Greatwood is usually a key trial for novices heading to the Supreme or Triumph hurdles at the Cheltenham Festival. 11 of the last 16 winners arrived at Prestbury Park with a return run under their belt (within the last six weeks), with the same number having raced at Cheltenham before. 14 of the last 16 had also won a hurdles race over this distance before. Paul Nicholls as a trainer has won this three times, the same as Champion Jockey Richard Johnson. However, our friends from Ireland boast the best record here, with six wins in the last sixteen runnings of the Greatwood being an irish-bred horse. Only seven favourites have placed in the last sixteen runnings, with only two actually winning. Only four winners since 2002 have carried top weight to victory as well - with 11stone 12lbs on their back. Run over 2m 4½ furlongs, the BetVictor Gold Cup is the feature contest at the three-day Cheltenham November meeting. In this handicap, there are fifteen fences to be jumped. The Pipe stable are the leading yard with nine wins in the race, with Celestial Gold, Our Vic and Great Endeavour, who won the contest in 2011, their most-recent winners. Last year the 2018 BetVictor Gold Cup was won by the Nigel Twiston-Davies-trained Splash Of Ginge – a win that gave the yard their third success in the race since 2008 and their four overall. Every winner from the past sixteen years, had run at Cheltenham before, with all but one winning over at least 2m4f over fences before. 15 of the last 16 had been won by a UK based trainer - with Hobbs and NTD both winning it three times, and Nicholls twice. 12 of the last 16 have returned at 12/1 or shorter in the betting. Three favourites have won the last 16 renewals, with an extra four only managing a place. Seven years old seems to be the best age, as 50% of the last sixteen runnings have been won by said age, and ten of the last 16 carrying 10st 13lb or less. Half of the last 16 winners also won this on their season reappearance.